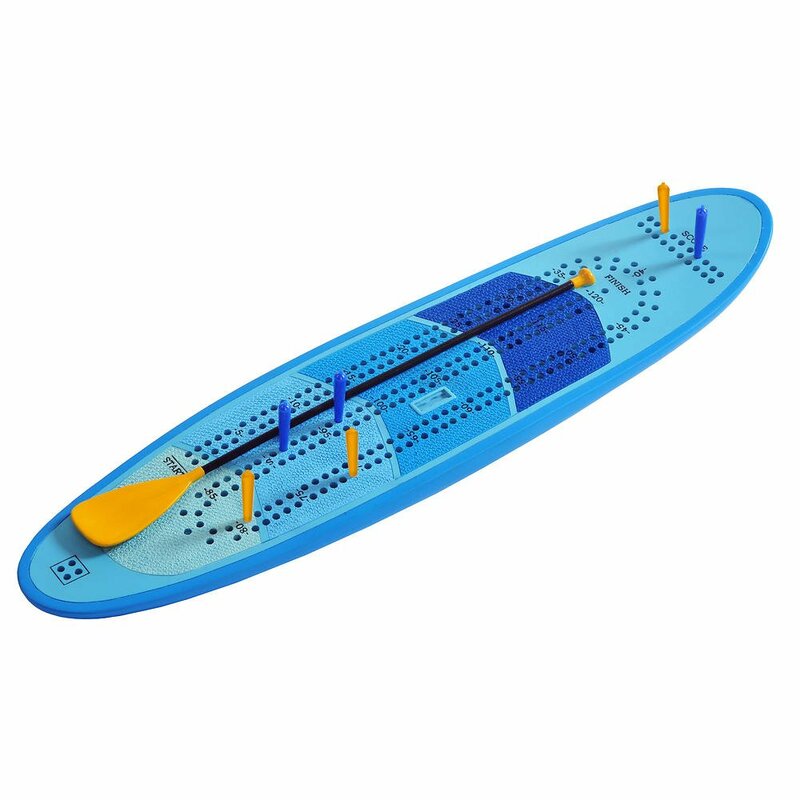 Wile away the lazy days of winter, or start a tournament in camp with the GSI SUP Cribbage Board. The durable resin-constructed board will endure many river trips and camp tournaments to come. The board is hand painted with precise attention to detail, making this cribbage set the perfect addition to the campfire game night or the living room coffee table. With six color-coded plastic pegs included and a built-in storage compartment underneath, this board can follow you on all your adventures. Dimensions: 14.5" x 3.5" x 1"